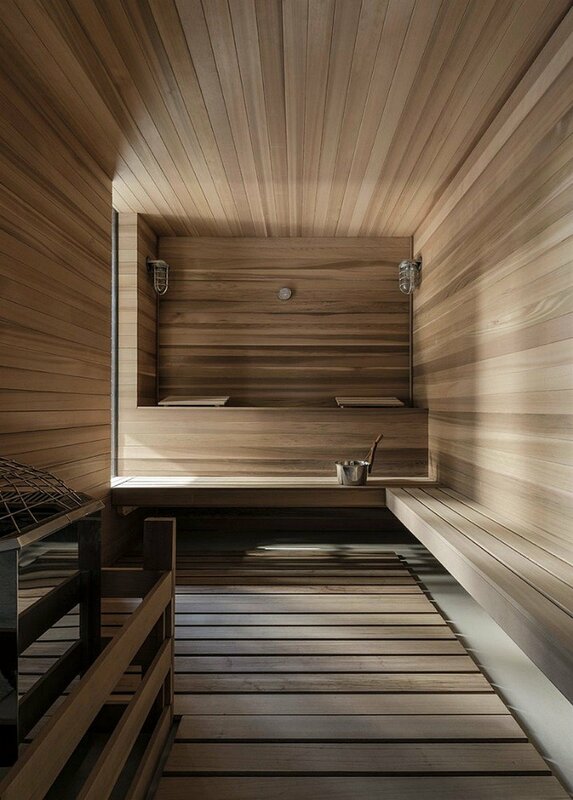 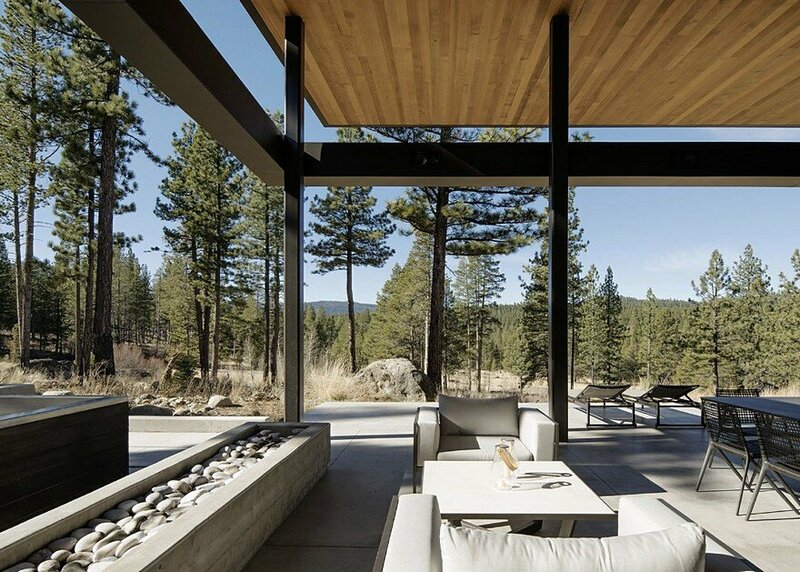 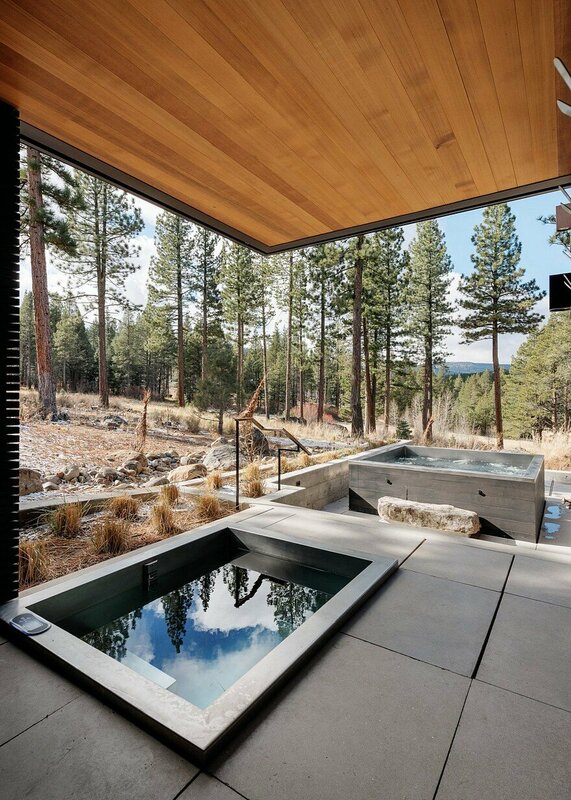 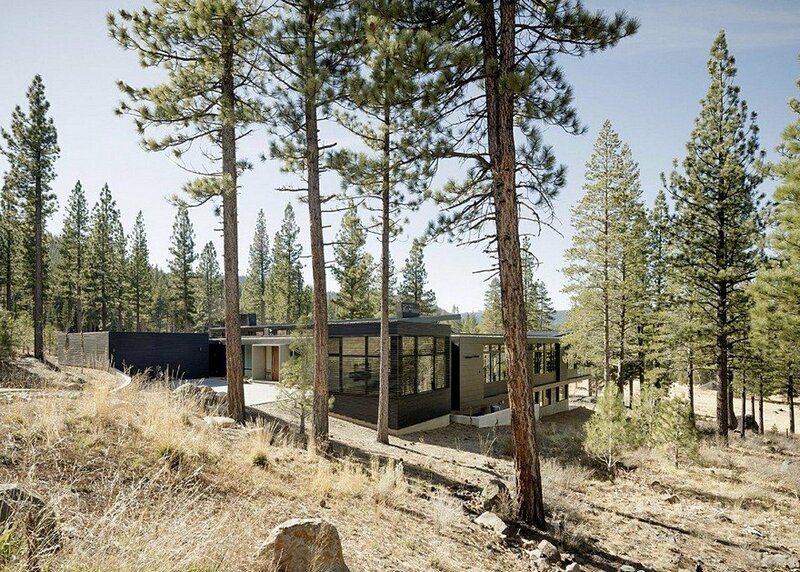 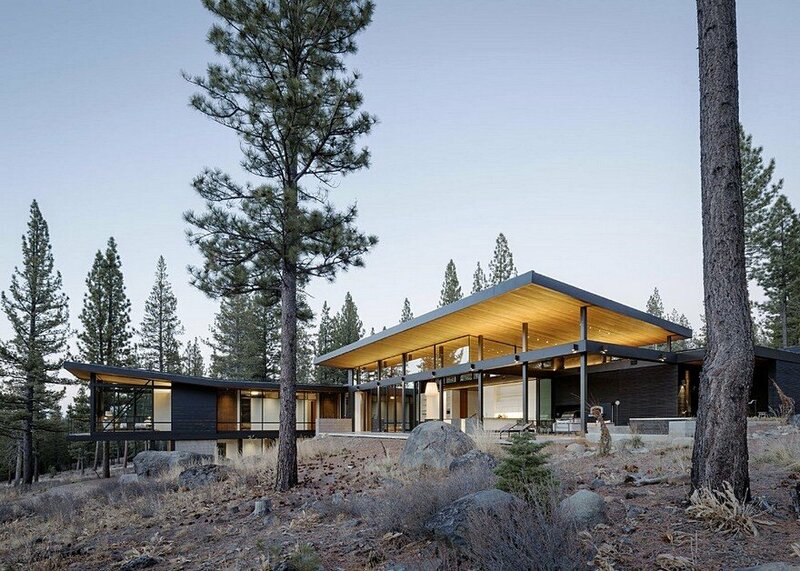 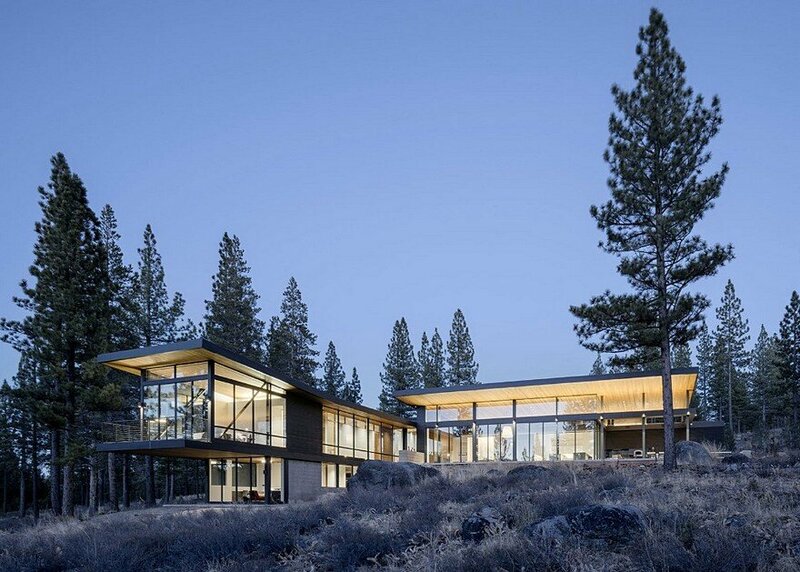 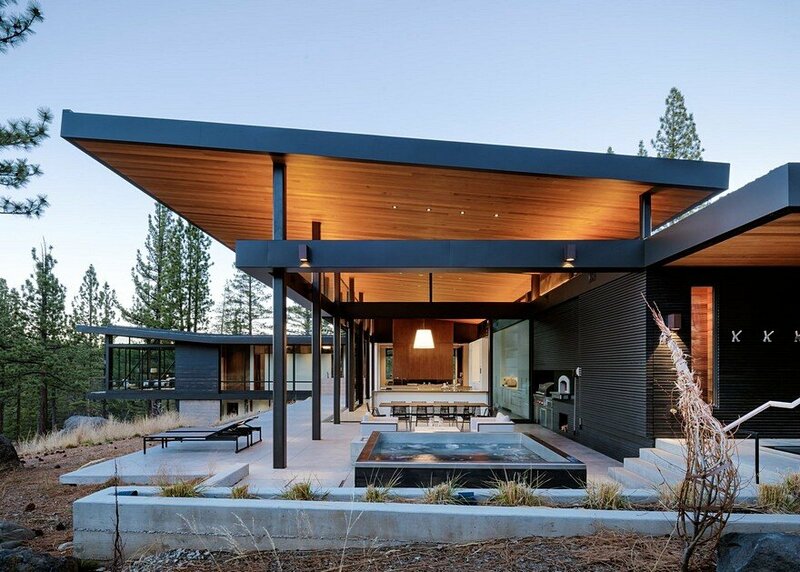 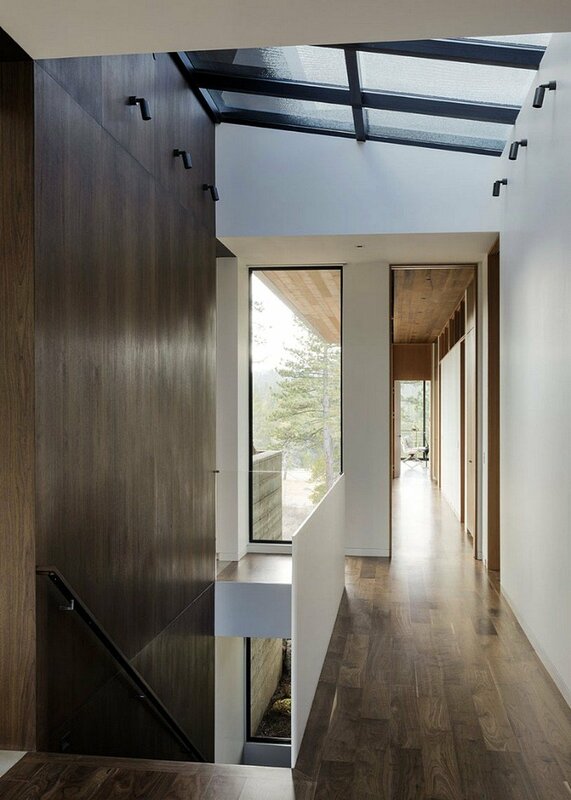 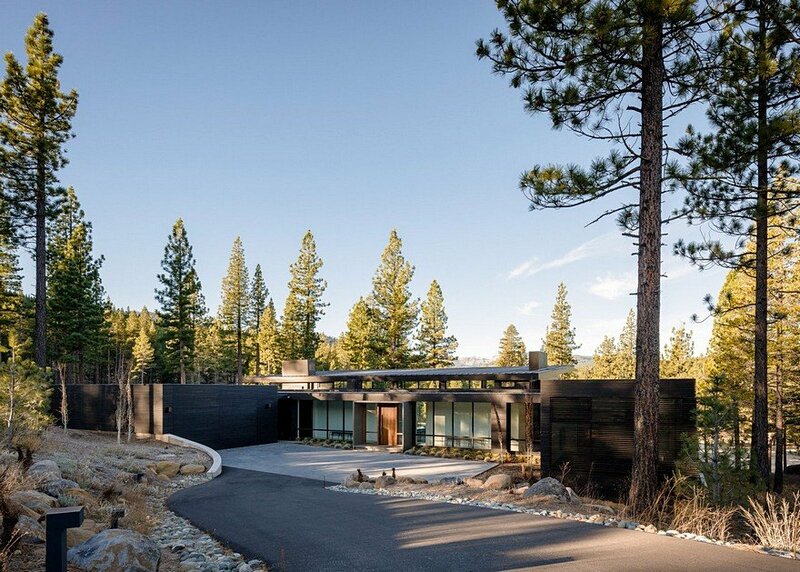 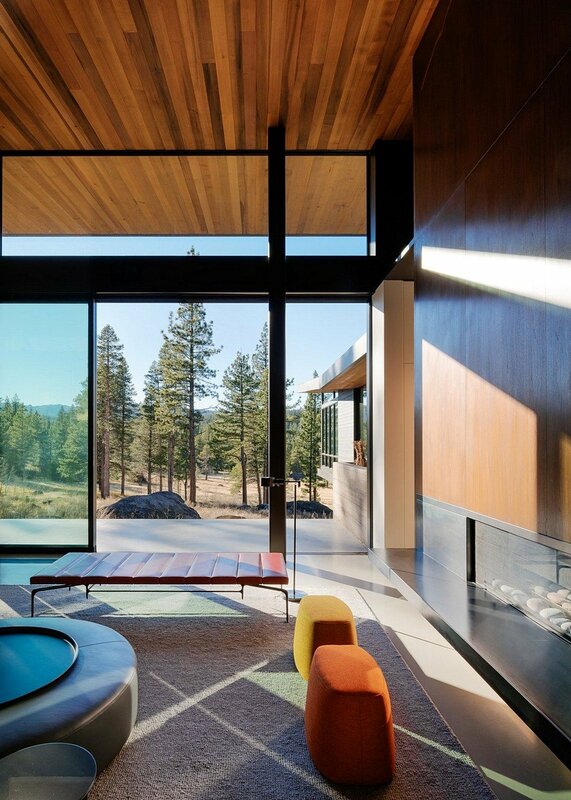 On a down-sloping wooded site in Martis Valley, California, the Martis Camp house carves a serpentine form in the topography that simultaneously provides privacy toward the street while opening towards expansive meadow and Pacific Crest mountain views beyond. 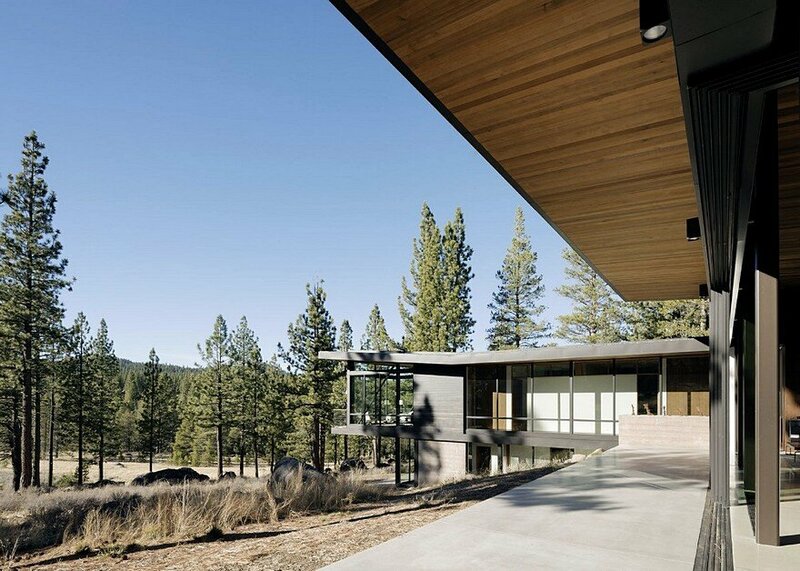 The primary forms are sited to create a seamless blending of indoor and outdoor spaces beneath a single planar roof which gently slopes upward to open toward the mountain peaks and expanse of sky. 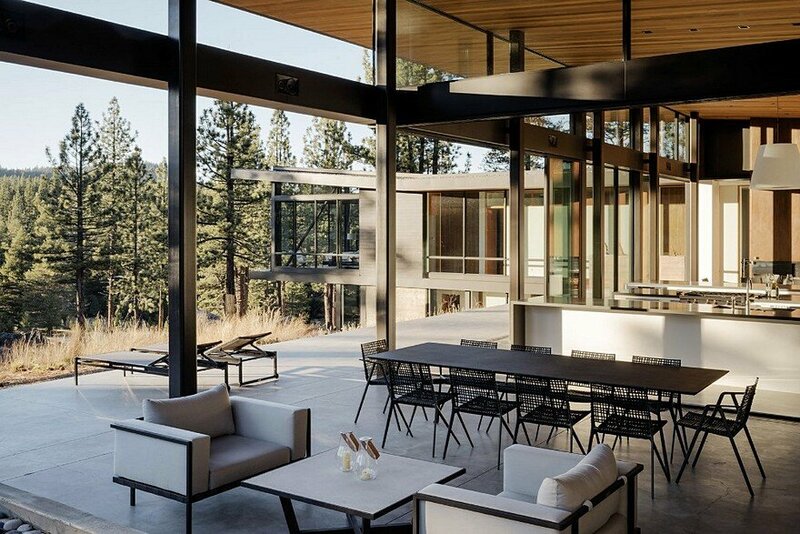 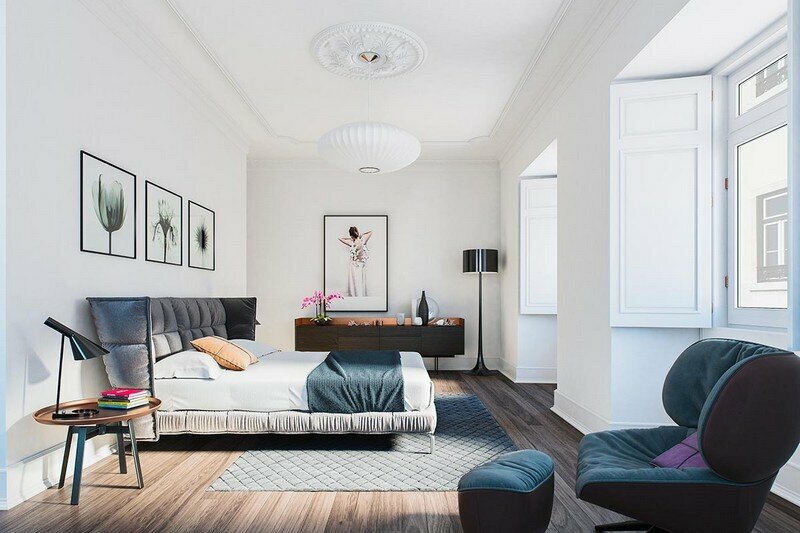 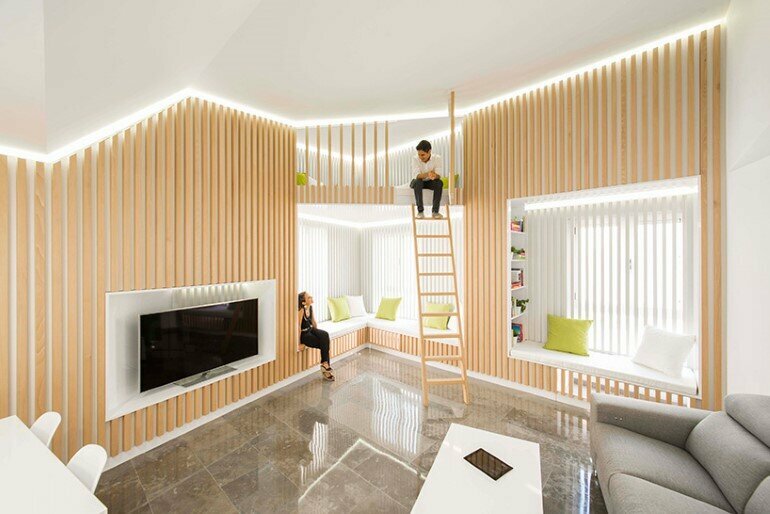 The public and private spaces are developed as distinct wings maintaining privacy and separation while creating varied perspectives on the surrounding landscape. 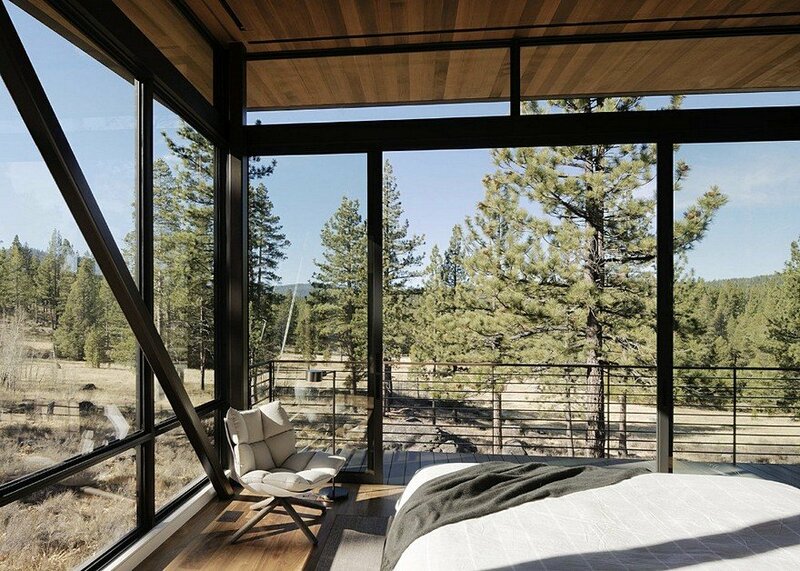 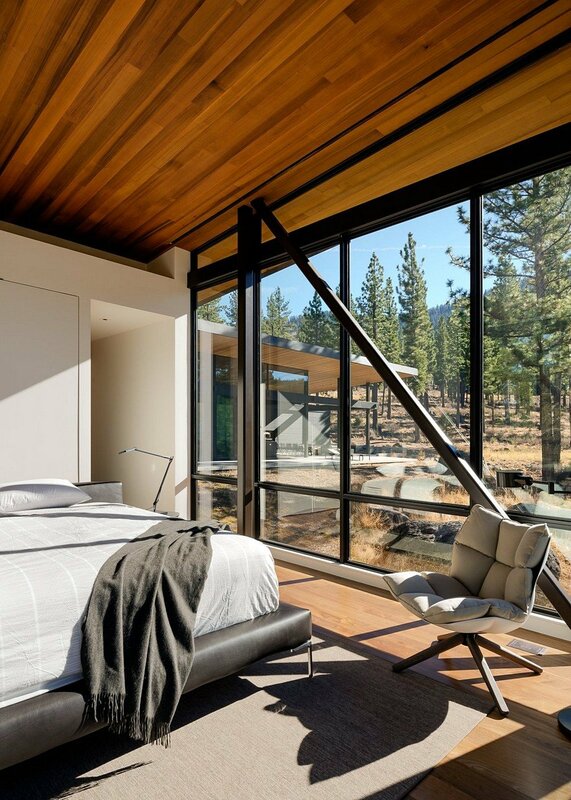 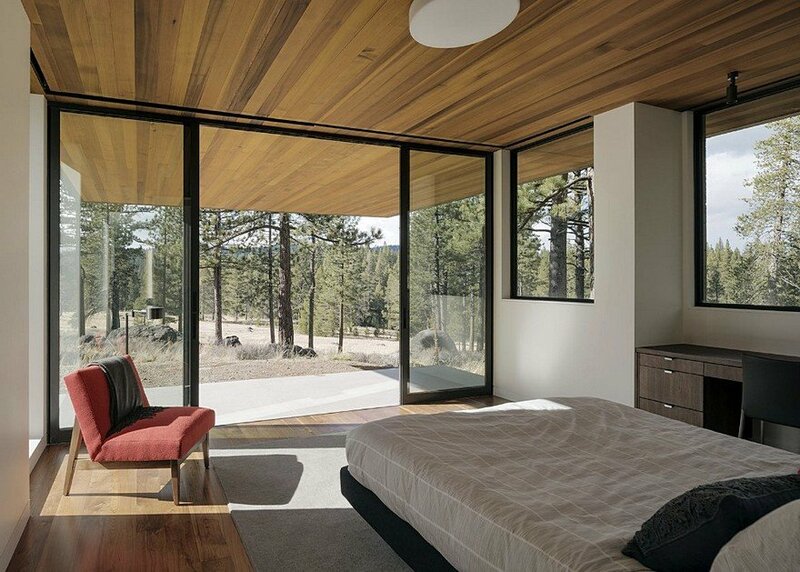 While the great room celebrates panoramic views and direct landscape relationships, the bedroom wing utilizes carefully framed views and accentuates the relation to the sloping ground plane through a completely cantilevered master bedroom floating over the valley floor below. 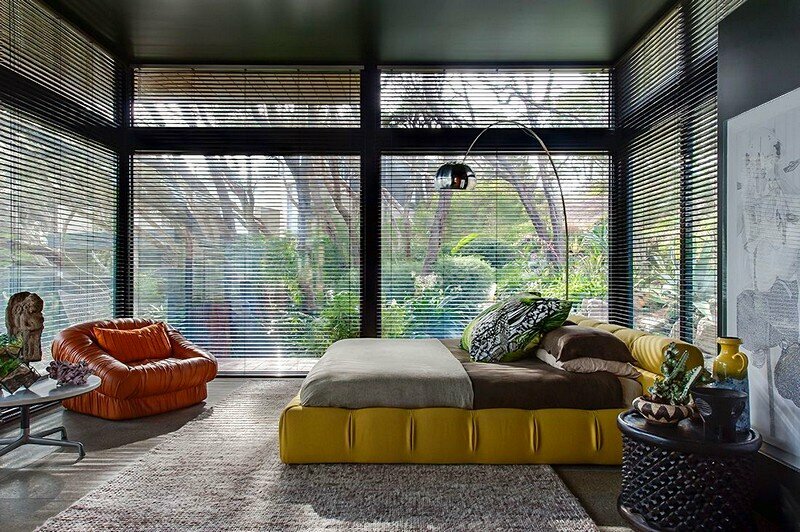 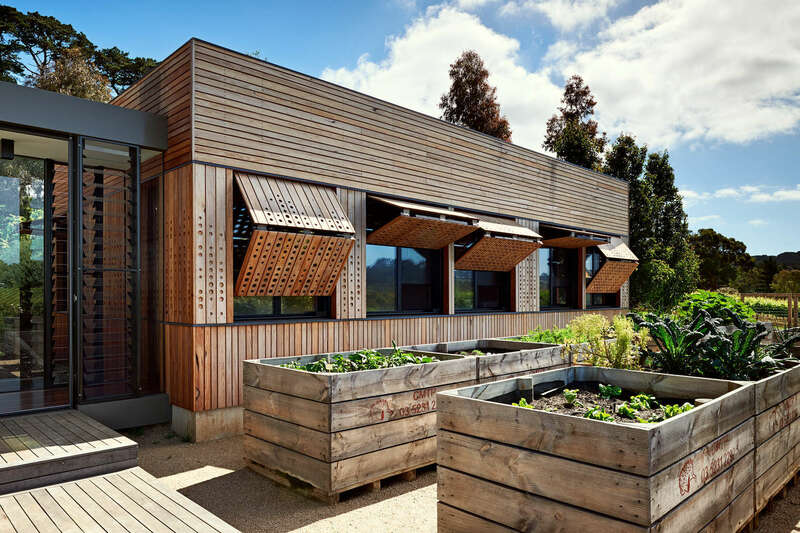 The program elements are organized by the solar movement across the site, allowing careful modulation of eastern sun within the bedrooms, full daylight through the primary spaces, and grazing dusk light in the outdoor eating and spa areas. 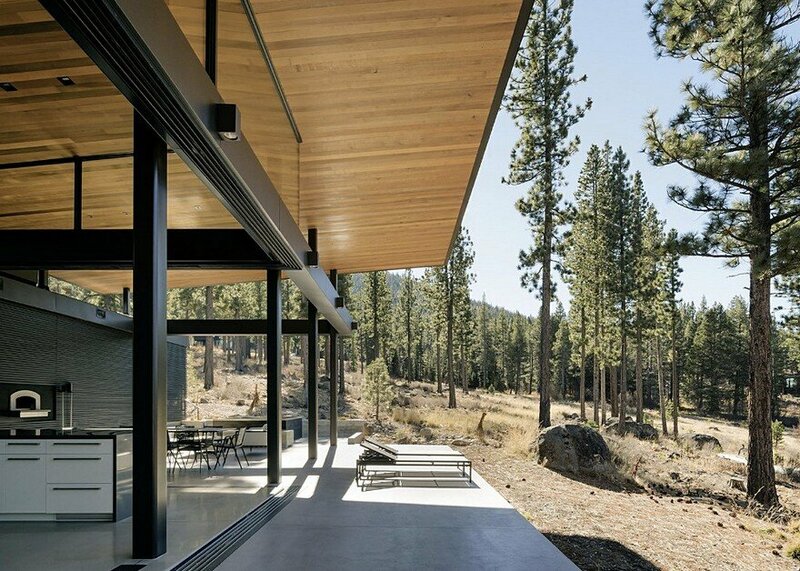 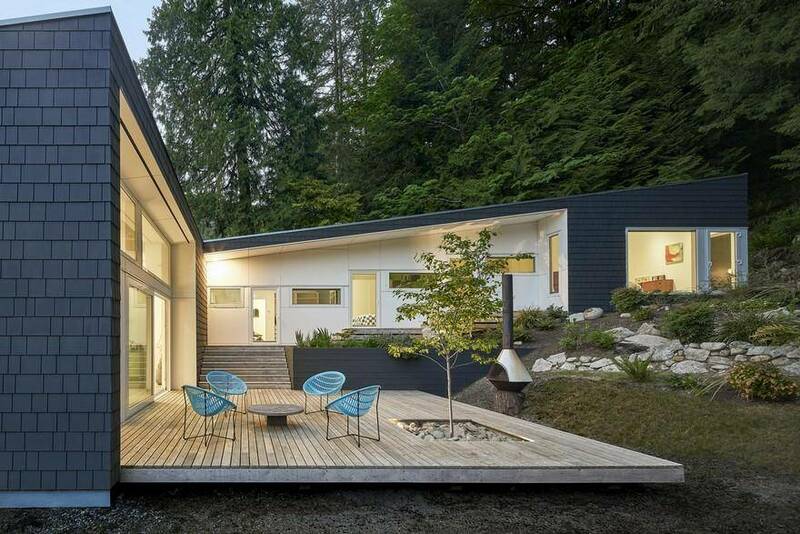 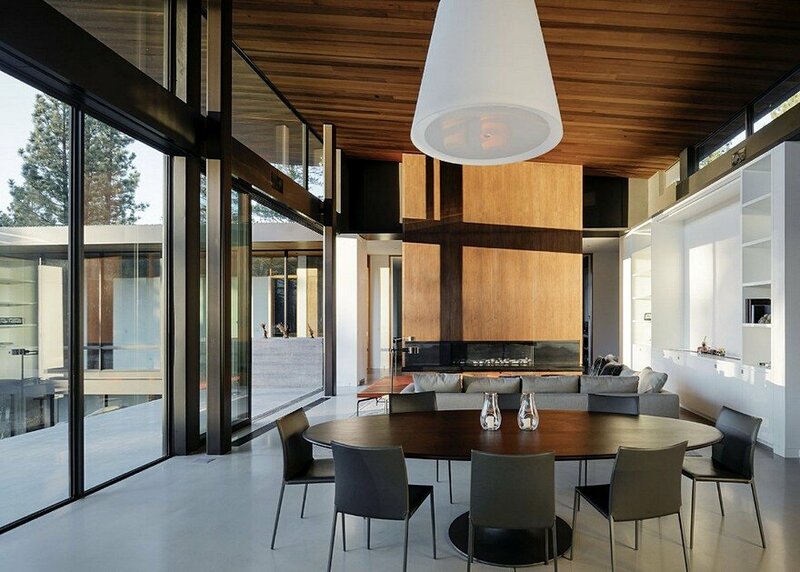 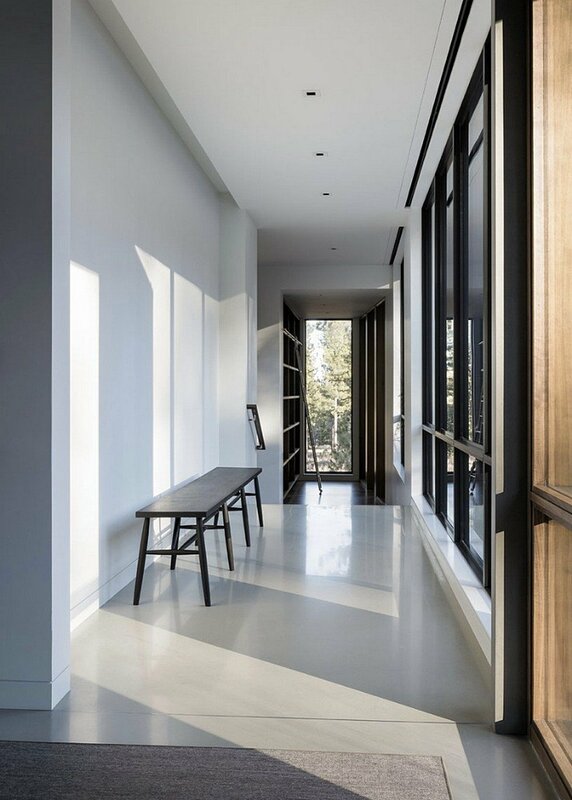 A simple palette of natural site-defined materials – stained cedar, zinc roofing, and board-form concrete – allows for a quiet dialogue between the house and its environment in the spring through fall, but reverses to the dramatic contrast of dark stain to white snow during the winter months.